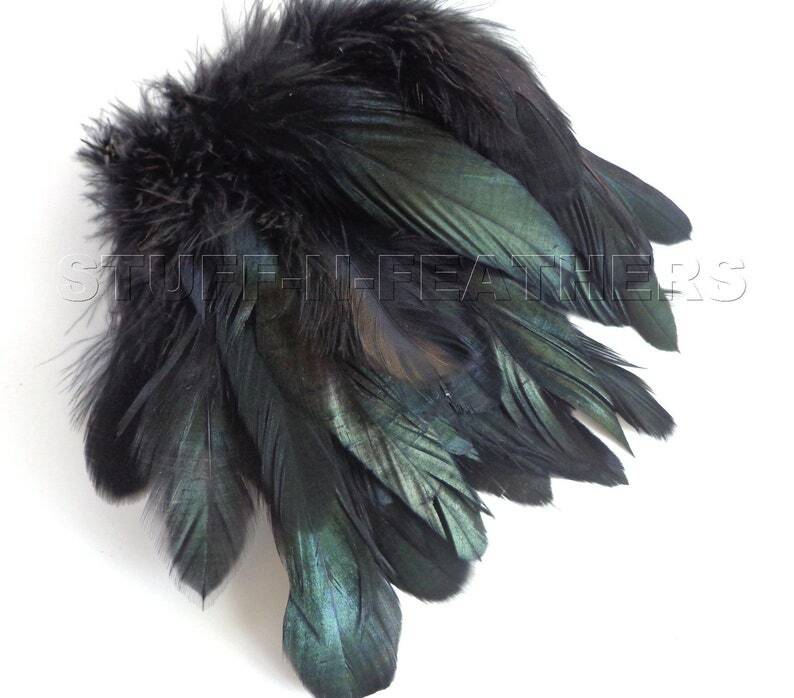 This is a listing for 2” (5 cm) strip of strung iridescent black rooster feathers. There are approximately 25-30 feathers in each bundle. These are the shortest coque feathers you can find and they vary in length. 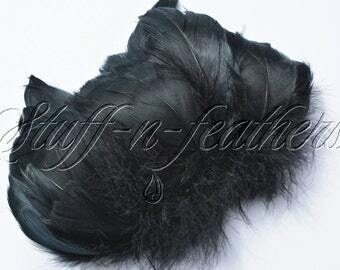 Coque feathers in this size have a significant amount of fluff at the bottom and iridescent tips - more fluff and shorter tips. This style is dyed over a half bronze feather, which gives the tips an iridescent green to black shine, fluff is jet black. *Strung feathers are densely packed together and connected with a thread or a small cord, but they can be easily separated into individual feathers. When you compare different feathers keep in mind that strung feathers have MUCH greater amount of feathers per inch than a trim or fringe. All feathers are clean, they are steamed, prepped and ready to be used. They come from the smoke-free studio. Please refer to the Shipping policies: https://www.etsy.com/shop/Stuffnfeathers/policy?ref=shopinfo_policies_leftnav . 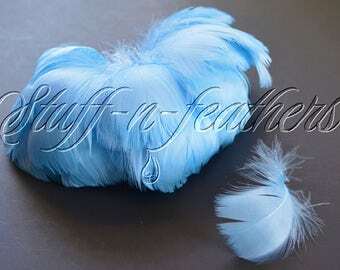 The feathers I purchased were used for a bespoke burlesque accessory I made for a client. So pretty, just what I need! Good packaging, fast shipping. Thanks!